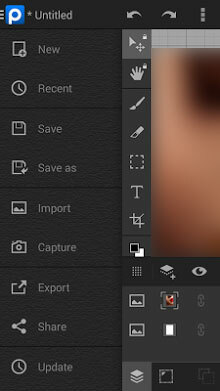 PhotoSuite – an expert photo studio app with wide-ranging capabilities. From Photoshop essentials such as fun picture editing effects, image collages and sketching to advanced photo art tools such as working with layers and masks as well as complex object selections, PhotoSuite allows you to create astonishing images. Share images easily with your friends and family over social networks, your cloud storage accounts, or via email.
. Improve your photos – Perform a wide range of enhancements including fine tune, crop, color adjustment, and more to get the best out of your photos.
. Use advanced photo designer tools – work with layers to combine pictures and create work-of-art collages.
. Enhance your images with text-based graphics and free drawing.
. Work with picture filters and effects – Invert, Grayscale, Pointillize, Crystallize, Exposure, Posterize, Diffuse, Contrast, Displace, Kaleidoscope, Marble, Ripple, Block, Weave, Oil, Reduce noise, Sharpen, Edge.
. Use comprehensive selection tools and group objects to easily handle different parts of an image.
. Take advantage of your device camera to capture photos (also available as Sony Xperia camera plugin), apply real-time camera filter effects, and include them in your image projects.
. Real-time filters such as Highlight Shadow, Pixelation, Sketch, Sharpen and many more.
. Smart adjustment of Brightness, Contrast, Hue and Saturation for each layer.
. Flip and Rotate transformations via layer or selection dragging.
. Supports numerous file formats – PhotoSuite works in its own native format but can open and export images to the commonly used PNG, JPEG and .GS formats.
. Save a project onto Internal Memory or External SD Card.
. Share images – PhotoSuite allows you to share images with your family and friends – over social networks such as Facebook, Google +, Picasa or Twitter; in your cloud accounts like Dropbox (via third party applications); or as email attachments.